Casting rods are more than just complicated to master, but once you do, the possibilities are endless. These rods are almost always reserved for professionals and for advanced fishermen who know what they are doing. All this means that you get plenty of benefits, advantages but also several factors which must be taken into consideration. Luckily our guide will help you through the entire process. 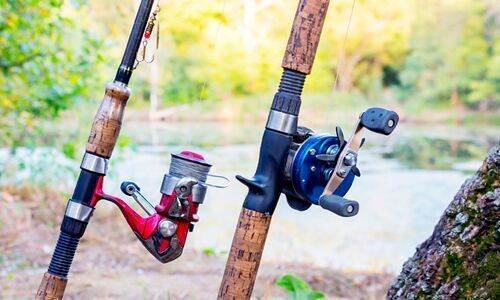 What To Consider When Looking For A Casting Rod? Who Makes The Best Casting Rods? 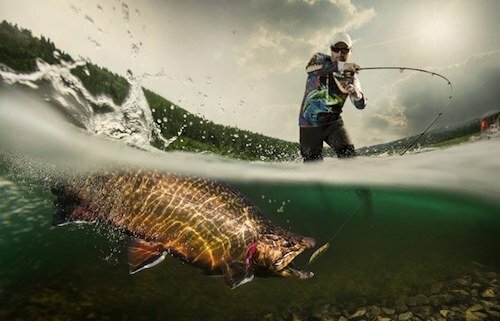 What are the advantages of a baitcaster? The biggest advantage is related to the ability to catch a bigger fish. Because these rods are completely opposite than spinning rods, as you shall see further on, they are stronger and more durable. However, they can withstand a higher load and they can be used for more demanding operations. Of course, this is the advantage you will get once you have mastered the casting rod. They also have much lower friction, so the guides will last for a longer period of time, than those on spinning rods. All of combined allows for fishermen to catch fish over a longer distance. The line will be perfectly layered on the reel, so there is no risk or there is a much lower risk of breaking. Precision and better relationship with the fishing is also a benefit. For most of you, this will be the main advantage and the main reason why you will start using casting rods. You have the ability to catch almost any fish you want and you can do it almost anywhere. For a detailed review of our Best Casting Rod models, check out here. 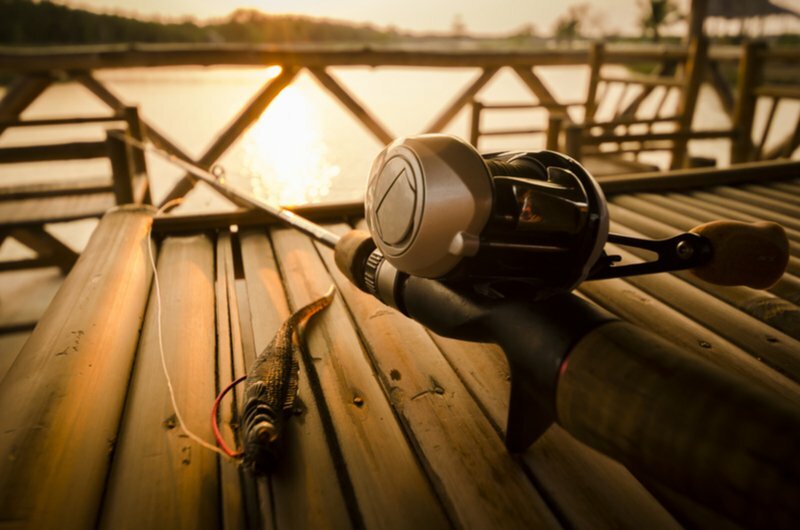 In order to understand the difference, you must know the basics of spinning rods. First of all, they are more suitable for beginners. They are easier to use and they are far more affordable. Sounds like casting rods don’t have a chance when compared versus spinning rod, but this isn’t the case. They are completely different. All spinning rods have guides which will face down when you fish. While fishing, the rod, and the guides will point towards the water and when you catch a fish, the rod will bend towards the water. This is a natural look of the rod and for most fishermen and the most suitable one. Also, your strong hand will be on the rod, while your weaker hand will be on the reel. This is commonly seen as an advantage in itself. Now all about casting rods. In the lack of a better word, they are completely opposite than spinning rods. The guides and the line will be pulled in the opposite direction than in the first case scenario. This may look unnatural, but it is actually straightforward and the main difference. The just mentioned fact allows for users to catch bigger fish and to use a rod for a longer period of time. Guides are more durable and there is no friction during fishing, so they can last for a longer period of time. The main difference to understand is that spinning rods are designed and used by beginners, mostly. Casting rods are more suitable for advanced users and for severe fishing. Here are all the factors you will need to take into consideration when looking for your new casting rod. Of course, you will definitely want to consider choosing the right bait when fishing in this way. Power is literally the weight or can be described as weight. As such, we can see the light, medium and heavy models. Light and a sub-type, ultra-light is lightweight, obviously, rods which are the best for fishing small fish. Medium ones are suitable for mid-sized fish and heavy ones are perfect for large fishes. It refers to the sensitivity of a rod. Fast ones are ultra-sensitive, so they will detect even the smallest movement of the fish. Obviously, they are suitable for small fish. Moderate are designed for mid-sized fish and slow ones are great for large fish. These are small elements on the rod where the line passes. They can be made of plastics, which is cheap and ineffective, steel, which is durable but creates a lot of friction or ceramics. They are the best guides and they are reserved for professional rods. They are also the most durable. Here we are looking at graphite models, which are the most common. Also, they are great value for money and they can be used for a long period of time. They are also very sensitive and flexible. Fiberglass models are more popular at the moment, but they are less sensitive and more durable. There are also rods made of composite material, which is basically the combination of graphite and fiberglass. They are the best of the best, but they don’t look very nice. It is simply the best brand of the casting rods. They come from the United States, Wisconsin more precisely and they have been on the market since 1977. They are affordable, durable and well-made. Read the review of St Croix Triumph here. This is a Swedish company founded in 1921 by Carl August Borgström. Recently they got the Purveyor To The Royal Swedish Court, an award which is given to the company which meets the latest standards and meets the highest demands of the buyers. So you can get a clear picture of how the advanced their rods are. Learn more from Abu Garcia Vendetta casting rod review. The company consists of Shakespeare Fishing and Pure fishing. These companies were founded in 1921 and back in 2007, they decided to make cooperation all in order to make the best possible fishing equipment. We agree on that and their rods are different, yet developed till perfection. The company was founded by 5 businessmen 40 years ago. The name is actually the name of the local lake, where the company was founded. They are great when it comes to casting rods. Read our Fenwick HMG casting rod review.